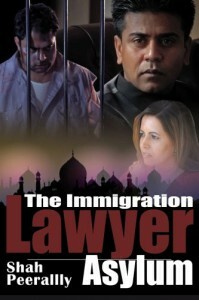 The Immigration Lawyer by Shah Peerally details the travails of an immigrant, Ahmad. His home country, Iraq, treats him like a traitor as he is under suspicion for being an American spy. He seeks asylum in the United States of America. But, in the aftermath ofthe 9/11 disaster, will a young, Muslim youth get what he seeks? Will the seeds of racism, hatred, and suspicion planted by terrorists in the minds of people allow him to live a life of liberty and justice? Is the Department of Homeland Security being overzealous while dealing with non-white immigrants? Ahmad is lucky to find a good lawyer in Sarah. She is willing to go that extra mile to make sure that justice is done and the American judicial system can uphold the values that it stands for. The Immigration Lawyer is short, precise, and concise. Ahmad is like any other immigrant who is seeking asylum without much knowledge of the strict laws. The book gives wonderful insight into the American judicial system. The fact that there are lawyers who want to help people who are are vulnerable because of their race, religion, color etc is heartening. 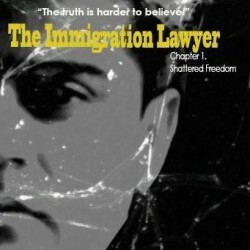 The book highlights the rights and options available for immigrants seeking asylum and helps to highlight their actual plight and status through the protagonist's story. The attacks on innocents by people who have limited knowledge about different nationalities and religions show how ignorance and hatred actually destroys the fabric of our society. Go ahead, pick up the book. It surely is worth a read.